With only a few short weeks until the 29 March, the official date when the United Kingdom will leave the European Union, the prospect of a ‘No Deal Brexit’ is danger of becoming a reality. A reality that would have dire consequences from the perspective of rights protection. Following its failure to get support from Parliament for the current Withdrawal Agreement the UK Government is now seeking amendments to that Agreement from the EU focussed particularly on the Northern Ireland backstop. The EU in turn are unwilling to contemplate concessions on the Agreement given the impact on the Good Friday Agreement and the ability to keep the Northern Ireland border open. In this context the prospect of a ‘No Deal Brexit’ seems to be an increasingly likely outcome unless a compromise is reached in the next few weeks. The idea of the UK leaving the EU without a withdrawal agreement creates considerable cause for concern from a human rights perspective. Much has been made of the potential impact on trade and customs of a hardened border in a No Deal context but the human rights dimensions are every bit as concerning. In fact a no deal scenario is perhaps the worst possible outcome for rights in Northern Ireland. 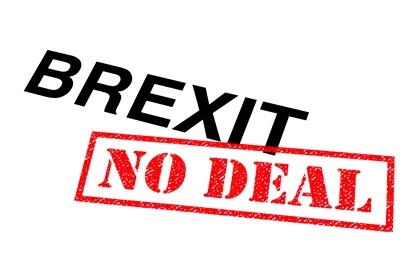 From the removal of existing human rights legislation, loss of regulatory alignment across the border for health, security, the environment and others areas of cooperation and protection, the human rights risks of a no deal Brexit are clear. In this short note, we provide a snapshot of just some of the areas which are likely to be affected by a no deal Brexit. For a more comprehensive examination of the human rights risks of Brexit, check out our Rights at Risk report here. A snapshot of rights threatened by a no deal Brexit.